The Abexceed Treadmill is a straightforward fitness machine that any beginner would wish for. Whether you’re trying to lose weight or you just want to stay fit, this treadmill can be of great help. With this treadmill, you’ll never skip a daily cardio workout because you don’t have to go out. It’s compact and lightweight so it won’t occupy too much space inside your house. Plus, it’s in colour red which makes it stand from the other treadmills and it comes with freebies! Keep on reading as we take a closer look at the features of the Abexceed Treadmill. The Abexceed Treadmill weighs only 30kg because its made of lightweight yet durable materials. It’s driven by a 1.75HP motor which makes it go up to a top speed of 12km/h. For an entry-level treadmill, its maximum speed is enough for you to get an effective workout. If you’re trying to lose weight, this treadmill comes with three incline levels that can help you burn more calories, thus, achieve your goal faster. Even if you’ve never stepped inside a gym or it’s your first time to touch a treadmill, you won’t have a hard time dealing with this one. The Abexceed Treadmill has straightforward and clearly labelled controls which will help you start your workout immediately. Its quick speed keys will allow you to adjust to your desired pace easily. This treadmill also has 12 workout programs which can keep you inspired to workout. Even though the Abexceed Treadmill is budget-friendly, they still considered including hand pulse sensors which are essential to keep track of your progress. Your heart rate is an indication of how effective your workout is that’s why it’s important always to monitor it. Aside from this feature, the treadmill also has built-in speakers, and AUX input so can enjoy listening to your favourite songs while pumping up your heart. These additional features give you an unbeatable value for your money at such an affordable price point. Aside from the fact that this treadmill is lightweight, it’s also foldable so you can save your personal space when you don’t feel like working out. Also, the Abexceed Treadmill has built-in transport wheels which makes it easy to move around even when you don’t have anyone to help you. 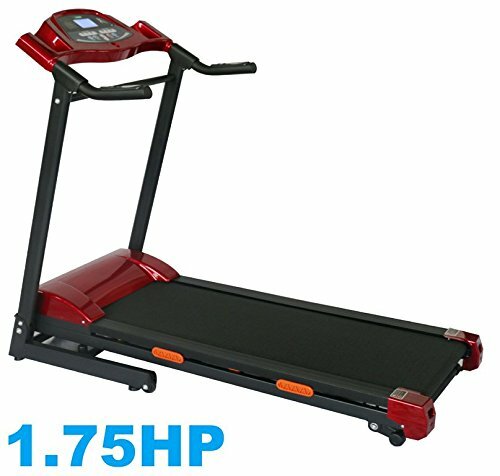 Since a 1.75HP motor drives this treadmill, it won’t be able to keep up with fast-paced running, but it’s still suitable for light jogging. It’s an excellent option for beginners and intermediates, and it’s good for seniors who might need a daily cardio session. Plus, it comes with a free aerobic twist disc with resistance bands! If you’re not that fussy about having a lot of additional features in your treadmill, you might like this one. The Confidence Power Plus Treadmill is one of the most straightforward entry-level treadmills on the market, and it’s a lot more affordable. It doesn’t have any speakers or pre-set programs, but it does give you the chance to increase your speed up to 10km/h. It has a tiny yet readable LED display which shows your speed, distance, time, calories and scan. Even though it’s very compact and lightweight, it’s still foldable so you can move it in the storage room. It’s also very stable with a maximum user weight of 120kg. Confidence Power Plus Treadmill Detailed Review? CLICK HERE. The V-Fit Start Folding Treadmill, on the other hand, is quite a more expensive yet still fits any budget. Aside from being sturdy with a maximum user weight of 100kg, the machine is also chip resistant coated so it will always look good as new. A 1.25HP motor makes it go up to a top speed of 8 km/h, which you can adjust by yourself or choose from the four pre-set speed programs. 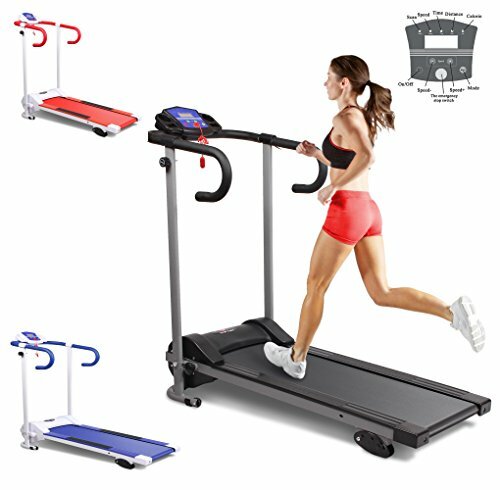 This treadmill also has 3-position incline options which you have to adjust manually. It comes with hand pulse sensors for you to easily track your progress and it folds upright for a convenient space saving solution. 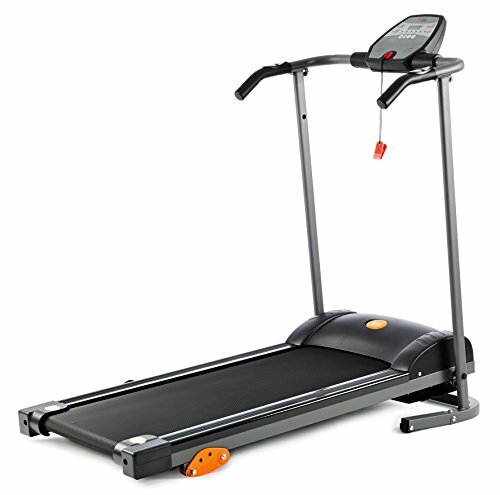 This is another entry-level treadmill that doesn’t offer many features but makes an excellent choice for beginners. 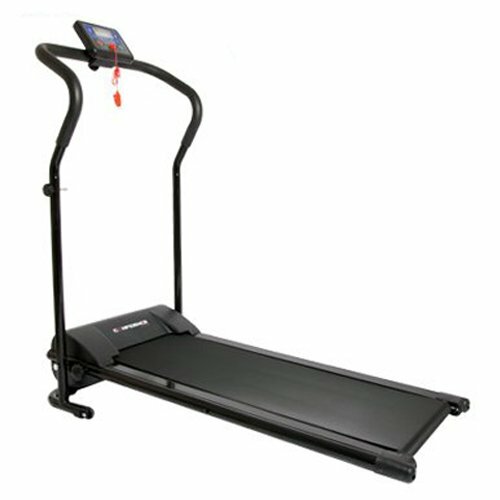 The Hi-Performance Electric Treadmill quite a narrow running surface that measures 101cm x 34cm so you can’t really use it for running, which is normal for entry-level treadmills. A 1.0HP motor drives it, and its maximum speed is 10km/h with a maximum user weight of 100kg. 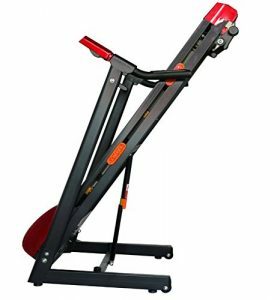 With its three program modes and manually adjustable incline, you can get an efficient workout each time you use the machine. 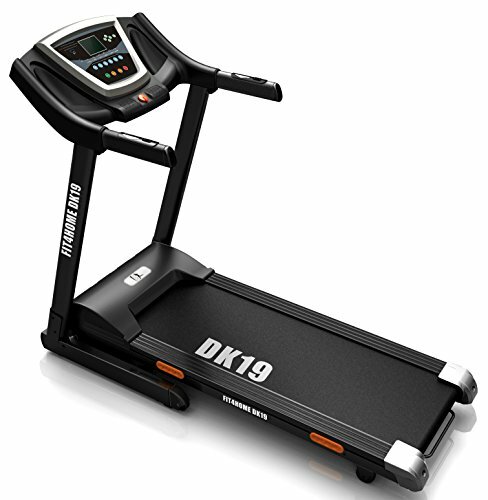 If you have some extra cash, it will also be worthwhile to invest in this DK-19 F4H Auto Incline Treadmill. It’s driven by a 1.75HP motor, and it can go up to a speed of 14km/h. If you’re particular about having a comfortable running area, you’ll be glad that this one has a 140cm x 40cm surface that’s integrated with a 6-level shock absorption feature to prevent impact on knees. It also has built-in speakers with AUX input and USB port, pulse sensors, and a dual-layered running board that helps it support up to 110kg user weight. 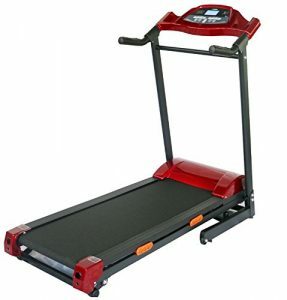 This treadmill has a manually adjustable incline up to 5%, and it folds away with the help of a hydraulic pump. On top of that, it auto-lubricates you don’t have to do the job to maintain the machine. Overall, the Abexceed Treadmill makes an excellent choice regardless of what your fitness goal is. Remember that when buying fitness machines, you should always keep an eye on its ability to provide you with an effective workout. With that said, this entry-level treadmill will be a great addition to your household because it’s compact, foldable and it has a good range of speed levels that will inspire you to look forward to working out.